What is a Physical Therapist (PT) or Physical Therapist Assistant (PTA)? According to the American Physical Therapy Association (APTA), PT’s and PTA’s are highly educated licensed health care professionals who can help reduce pain and improve mobility while working with you to achieve your goals. This can decrease the need for surgery and prescription medications. 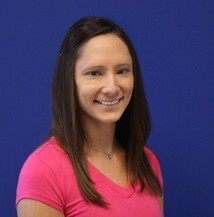 What does a Physical Therapy appointment look like? On the first visit to therapy, an individual evaluation is completed and the therapist is able to develop a plan of care based on input from you, your doctor, and the findings to decrease pain, improve mobility, restore function, and prevent disability. PT’s teach their patients home programs that consist of strengthening exercises, stretching, and proper body mechanics that help patients get better faster and prevent future injuries. 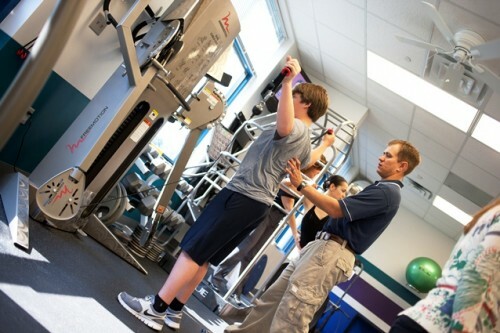 PT’s and PTA’s utilize manual therapy techniques such as hands on joint mobilizations and modalities such as ice and heat, ultrasound, electrical stimulation, paraffin, and fluidotherapy to manage pain, improve muscle strength and flexibility. Where would I find a Physical Therapist? PT’s practice in a variety of settings to meet the needs of varying patients. You can find them in outpatient clinics, hospitals, private practices, home health agencies, work settings, skilled nursing facilities, sports and fitness facilities, inpatient rehab, and schools. Is it true that Physical Therapists have Doctorate Degrees? 96% of Physical Therapy schools in the nation offer a clinical Doctorate of Physical Therapy and the remaining schools are planning to convert by the year 2020. What does the year 2020 have to do with anything? The APTA created the Vision 2020 and beyond as PTs become autonomous in their practice. What this means is PT’s may have direct access depending on the state. Direct access allows patients to go directly to a PT without a referral from a different healthcare provider, such as physicians, PAs, or Nurse Practitioners. Along with direct access the vision consists of using evidence based practice, professionalism, and being a practitioner of choice. The vision even beyond 2020 discusses how important movement is to the quality of life for all people, which shows how the physical therapy profession serves all of society. What does it mean when a Physical Therapist is specialized? PTs have the opportunity to study and sit for board certified specialization exams including cardiovascular and pulmonary, clinical electrophysiology, geriatrics, neurology, orthopaedics, pediatrics, sports, and women’s health with a possibility for more in the future. This is a way to formally recognize those therapists with advanced clinical knowledge, skills, and experience in their special area. Residencies and Fellowships in specialty areas are other ways therapists can specialize and gain specific knowledge and clinical skills. There are multiple programs therapists can choose to obtain other specialties in research and treatment skills to better their practice. 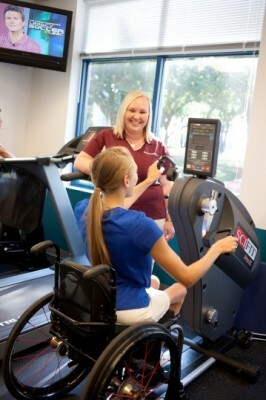 What does Physical Therapy at Cook Children’s look like? Cook Children’s consists of six programs within the system that treat different populations within pediatric physical therapy. Cook Children’s is made up of a unique team of therapists with a variety of specializations that better allows them to utilize family centered care in which the patient, family, and therapist collaboratively work to create a plan of care that meets individual goals for each patient. One on one time is important in each patient’s rehab, which Cook Children’s is able to offer during sessions. Therapists at Cook Children’s display passion with patients and their families to provide the best care possible while making sessions enjoyable!